Many of us understand the importance of exercising on a daily basis. You can’t build strong legs if you don’t try exercises that specifically target them. The Runtastic Leg Trainer app is one of many apps that provide you with exercise videos to give your leg a good workout. You get step-by-step instructions to keep your body on its toes. You don’t need any exercise equipment to get started. 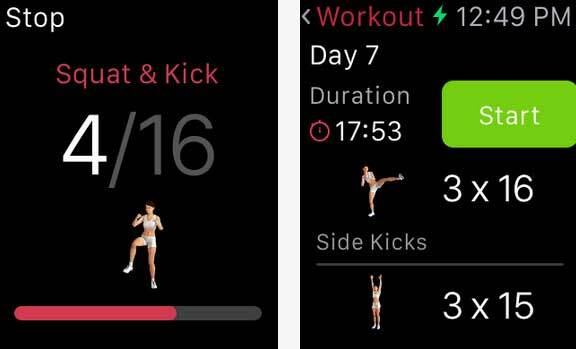 The app lets you select exercises based on your fitness level. You will be able to measure your heart rate as you push your body. Want to create custom workouts? No problem. The app lets you upload your workouts to your MyFitnessPal account. Runtastic Leg Trainer not only provides you with HD workout videos on your iOS device, it helps you stay on the right track on your Apple Watch. You can try the app for free.